© 2010 Payne Loving Trust. All rights reserved. Does Paul by this analogy intend to teach that Eve was not equally involved in precipitating the Fall as Adam? Paul writes in 2 Cor 11:3, “But I am afraid that just as Eve was deceived by the serpent’s cunning, your minds may somehow be led astray from your sincere and pure devotion to Christ.” In 1 Tim 2:14-15 he writes, “the woman being thoroughly deceived and fell into transgression [lit: ‘has become in transgression’], but she will be saved through the Childbirth if they remain in faith and love and holiness with propriety [to counteract socially unacceptable behavior here just as in 1 Tim 2:9 (cf. Cor 11:3–16)].” The association of Eve with her descendents, as the equation of “she” with “they” requires, shows that her transgression affects them, and that her seed (Gen 3:15) crushes the serpent, Satan, and brings salvation to them through “the Childbirth.” Thus, not only does Paul teach that Jesus is the second Adam, Paul also implies that Jesus is the seed of the woman predicted in Gen 3:15, who overcomes the Fall precipitated by the sin of both Eve and Adam. Since in Hebrew “Adam” identifies both the man in isolation and the man and the woman together in Gen 1:26-27, “let us make man in our image, in our likeness, and let them rule…,” and since it was the sin of both the woman and the man that led to the fall in Gen 3, and since God addresses both woman and man (in that order) stating the consequences of the fall, and since there is a corresponding plural contrasting God as “us” and man as “them,” it seems inescapable that Eve did participate in the fall and in its ultimate reversal through her seed. It should be clear from Paul’s other statements about Eve’s participation in the fall and its account in Genesis that Paul in saying “just as sin entered the world through one man (ἄνθρωπος, not ἀνήρ, ‘male human being’),” did not intend to exclude Eve from the entry of sin into the world. One possibility is that Paul intended “one man” to refer to the Adam (singular) identified as “them” in Gen 1:26-27, as possibly indicated by Paul’s use of ἄνθρωπος rather than ἀνήρ. Paul may have chosen to use the word “Adam” because it is a singular name, even when used to designate the original couple, and so makes a more direct counterpart for the singular name, the one man (ἄνθρωπος, focusing on his humanity, not his being male), Jesus Christ in 5:15, who brings the opposite, salvation from that fall. It should be clear that Paul did not intend this analogy to deny what is obvious from these other texts by Paul and the event he is citing from Genesis, namely the participation of Eve in the Fall. It is not Adam or Christ as male that is highlighted here, but Christ as human, hence the use of ἄνθρωπος in “though one human being” rather than ἀνήρ, which Paul could have used if he had intended to specify man as male. Finally, beware of extrapolations that are not clearly taught in Romans 5. “Adam’s federal headship” is not a biblical expression. Neither “federal” nor “headship” are words that occur in the Bible. Although you wrote about “the discussion on headship in this context,” in fact, Romans 5 mentions nothing about the authority of Adam or of husbands, nor does it mention “head,” or “headship.” It is about the universal implications (especially death) of Adam’s sin and the universal implications of Christ’s sacrificial death that satisfies the penalty for the sins of all and offers life to all who will accept Him. It is inappropriate to draw conclusions regarding a hierarchy of authority in marriage from a passage that is not about a hierarchy of authority or about marriage. This passage stresses the universality of the consequences of Adam’s sin for all people, women as well as men. It says nothing about the authority of men over women, whether in society, the church, or the home. Pastor Randy has kindly offered comments on a variety of issues. So that the context of my responses will be clear I have taken the liberty of interspersing them in the midst of Randy message. So that it will be clear who is saying what, I have put “RANDY:” in from all his comments and “PBP” in front of all the comments of Philip Barton Payne. RANDY: Regarding whether or not Romans 5 teaches male headship. I think the first question is, “Does the Bible as a whole teach federal headship.” After all Bible interprets Bible. One should not interpret passages in the Bible as if they stand alone apart from the rest of Scripture. If you do you will end up with some unique theology. Is the word “Adam” here referring to humanity or to both the individual male person Adam AND the individual female person, Eve? Of course it is not saying that in all humanity all humanity dies, and it would take some major twisting the make it refer to both Adam and Eve. This is obviously referring to the individual male person, Adam. In him all humanity dies. He, the individual male person Adam, represents all humanity. He is not all humanity, he represents it. Deut 24:16 “Fathers shall not be put to death for their children, nor children put to death for their father; each is to die for his on sin” [NIV]. Jer 31:30 “But everyone will die for his own iniquity; each man who eats the sour grapes, his teeth will be set on edge.” [NASB]. Ezekiel 18:19-20 “Yet you ask, ‘Why does the son not share the guilt of his father?’ Since the son has done what is just and right and has been careful to keep all my decrees, he will surely live. The soul who sins is the one who will die. The son will not share the guilt of the father, nor will the father share the guilt of the son. The righteousness of the righteous man will be credited to him, and the wickedness of the wicked will be charged against him. Just as Paul makes statements that suggest that Adam is representative of the human race, he also makes statements that suggest that Eve is representative of the human race. The substitution of “they” for “she” makes this clear in 1 Tim 2:14-15, literally, “the woman being deceived fell into transgression. Nevertheless she shall be saved through the childbirth if they continue in faith and love and holiness with propriety.” Furthermore, this statement makes it clear that Paul regards Eve as falling because of her own transgression. Paul makes it clear in 2 Cor 11:3 that he regarded the tendency to deception to apply to all people, not just women, “But I am afraid that just as Eve was deceived by the serpent’s cunning, your minds may somehow be led astray from your sincere and pure devotion to Christ.” Consequently, one should not draw the unnecessary inference from any of Paul’s statements that the first woman’s transgression was not instrumental in the fall of humanity. Indeed, in Gen 3:13 the Lord addresses the woman directly, “What is this you have done?” and the woman said, “The serpent deceived me, and I ate.” This specifically identifies her sin as transgression of God’s commandment. Appropriately, God speaks directly to the woman in 3:16 identifying the consequences of her sin first. Only then does God identify the effects of the Adam’s the transgression of the same command (3:17-19). RANDY: Just as the husband’s headship in marriage displays the headship of Christ in the church so Adam’s headship to humanity’s sinfulness displays Christ’s headship in giving life to humanity. Although the most exhaustive Greek lexicon, LSJ, lists forty-eight figurative translations for κεφαλή, neither it nor its supplement by Renehan, nor the lexicons by Moulton and Milligan, Friedrich Preisigke, Pierre Chantraine, S. C. Woodhouse, or any of the thirteen additional lexicons cited by Richard Cervin’s “Does Keφαλή mean ‘Source’ or ‘Authority Over’ in Greek Literature? A Rebuttal,” TJ 10 NS (1989): 86-87, give even one example of κεφαλή that implies authority. Schlier concludes in TDNT 3:674 that in secular usage this word “is not employed for the head of a society. This is first found in the sphere of the Gk. OT.” Four prominent specialists in early Greek literature, David Armstrong and Tom Palaima of the University of Texas at Austin and Michael Wigodsky and Mark Edwards of Stanford University, confirmed to this author that authority, leader, or any related meaning was not a standard meaning of κεφαλή. Apart from a few NT lexicons, the vast majority of Greek lexicons list no meaning for the Greek word “head” that implies authority or leader. PBP: There is a huge difference between “foreshadowing,” which may be limited to a particlar point of similarlity, and assuming detailed logical equivalence. Analogical language about God is suggestive, not definitive. You appear to assume that whatever the NT teaches about Christ must have had a type or shadow of it in the OT. Where does the NT or OT teach this? To say that for everything about Christ there must a type or shadow in the OT is to unnecessarily limit the character and reality of Christ. Since Christ is God, it is also to unnecessarily limit the character of God as well. RANDY: This gives me the opportunity to address your statement that the word “headship” is not in the Bible. The word “trinity is not in the Bible either. That does not mean that the theological construct is not taught in Scripture. 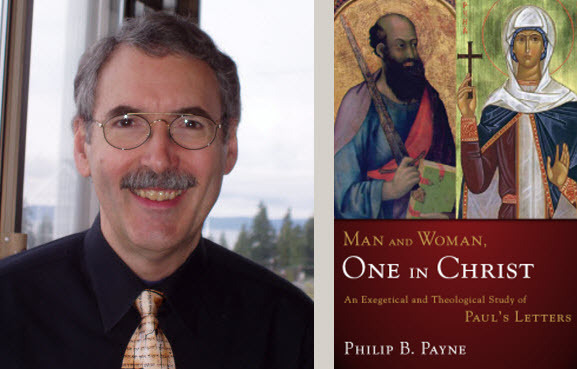 PBP: In the case of the Trinity, there is a wealth of statements in the Bible that require or point to the idea that Christ is God and that the Spirit is God. In the case of “headship” there are only a few passages that use “head” in a way that, in English, imply headship, namely leadership. Man and Woman, One in Christ, pages 119-123, however, lays out a wealth of data demonstrating that this usage was not common to Greek. Pages 123-137 demonstrates that “source” is a well established meaning of “head” in Greek. RANDY: Marriage was created by God not out a whim but to a picture of God and His church. God looks at us and sees His body. This is why God hates divorce (Mal 2:6) (Matt 19:3-6). This is why homosexuality is an abomination (Lev 18:22). They repaint the picture of God and His Church. To remake God and His church into an image mankind desires is idolatry. To say that the male is not the head of the wife is to repaint the picture God Himself created–it is idolatry. PBP: Paul depicts marriage in both 1 Cor 7 and in Eph 5 as one of the mutual submission of husband and wife. In Eph 5 Paul defines “head” using apposition in a way that points to the head nurturing and protecting the body. God created man and woman to enjoy fellowship, fellowship that reflects the interpersonal relations of the Trinity. John Jefferson Davis in Incarnation, Trinity, and the Ordination of Women to the Priesthood” pages 10-20 in The Deception of Eve and the Ontology of Women (CBE, 2010) gives ample documentation that “The historic, orthodox understanding of the Christian doctrine of the Trinity is that, in eternity, in the ‘immanent’ Trinity (the theologia), the Son is in all things equal to the Father. In time, during his incarnate, earthly ministry (the oikonomia, or ‘economic’ Trinity), the Son was voluntarily subordinate (in function, not essence) to the Father.” The orthodox understanding of the eternal trinity is not a hierarchy of authority of the Father over the Son, but a fellowship of equals. Christ is the model for all believers, not just males or husbands Paul repeatedly calls all believers to be imitators of christ or God in these very contexts: 1 Cor 11:1; Eph 5:1; cf. 1 Thess 1:6. RANDY: In conclusion, Federal Headship is taught in Scripture. It is foreshadowed in both Adam’s sin and in the marriage relationship thereby linking the two – headship in the marriage and headship in original sin. PBP: Gen 3 teaches the mutual responsibility of the woman (later named Eve after the fall) and the man for the fall. It teaches nothing about the “headship” of the man. It is especially precarious to speak of “Adam” as responsible to the exclusion of “Eve” since Eve was not named until after the fall and since the Hebrew word “adam” is applied in Gen 1 to both the man and the woman together. Paul, too, identifies the first woman falling into transgression (1 Tim 2:14). Eph 5 teaches mutual submission. In fact, the word “submit” does not even occur in Eph 5:22, but is dependent on “submitting to one another” in Eph 5:21. It is, therefore, misleading to speak of “headship” in either case as exclusively male. Both transgressed causing the fall, both are given dominion, and both are to submit to one another. RANDY: Thank you for this forum where good Godly people can have intelligent dialog regarding God and His marvelous word. PBP: And thank you for joining the discussion, where our desire is not to win an argument, but to understand the truth of God’s Word and to live by it. May the Lord bless your ministry and each member of your family. I very much enjoyed reading your explanantion in the article above. I have previously noticed the gender neutrality in Romans 5, which is lost in most English translations. Jesus became our Saviour and Mediator primarily because he became (and is) human, not because he became a male human. Superb exegesis of the Romans 5 passage. Complementarianism cannot withstand this kind of sound Biblical interpretation. I am willing to accept the contention that Adam may be in some way responsible for the fall, a way in which Eve is not. That is a simple reading of Romans 5. Taking the Romans passage on face value, Adam was in some way the source of our huge sin problem. Head, when using the term “federal head” for Adam, means source. Adam being the source of our sin problem doesn’t make him someone to obey (head as in leader) by sinning like him, but someone whose influence we should fight! If Adam’s source-ship of sin carried over to all men, if male behavior thus had a larger potentially negative influence on everyone else (women, children, other men) then men should not be the ones who alone are in charge, but under authority of the whole group that could potentially be influenced by their behavior.